In conjunction with powerful Australian international batsman David Warner, the Gray Nicolls Kaboom! Warner 31 Junior Cricket Bat returns for 2018. The exceedingly large profile in this Grade Three English Willow is encapsulated in the visibly thick edges warranting powerful and attacking stroke play. Regardless of which form of cricket is played the Kaboom! Warner 31 will enable batsmen to pounce on any loose deliveries in an aggressive and intimidating manner. This spectacular looking Kaboom David Warner 31 features a superb new technology handle and improved shoulder contours. The Kaboom David Warner 31 cricket bat is the choice of the England Test Captain and first class professionals all over! Revolutionary bat design and colours from GN master bat makers. 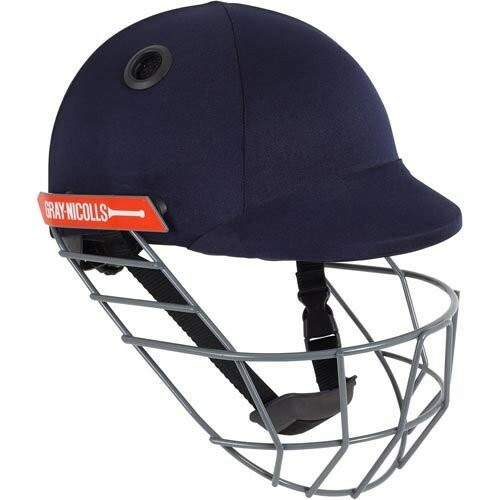 Vibrant colours but with ongoing Gray Nicolls hallmark quality. "The unique weight distribution in the shoulders enable a huge profile, high sweet spot and the pick up of a bat half the size. handles are fitted as standard providing feel and performance demanded by our Test Match stars. " 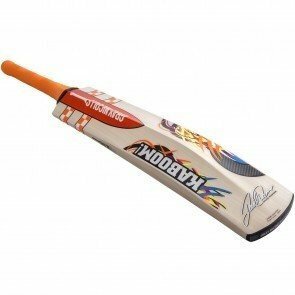 Gray Nicolls Kaboom David Warner 31 Junior Junior Cricket Bat Level: Club Specifications: Handle: Reduces impact shock and provides the perfect rebound. SS Zone: Mid/ high blade ideal for all around the ground shot making. Profile: Unique shoulder contours promote a feather light pick up. Grip: New zone pro improves feel and touch through the shot. Finish: FibreTec Face Cover Sizes: 4, 3, 2, 1, 0 Weight: 2lbs 1ozs - 2lb 7ozs All models are sanded and buffed as part of the preparation process.